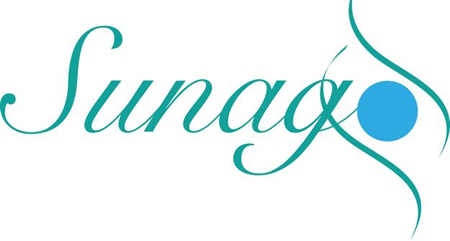 Sunago jewellery and gifts are gemstone based. This means that they include real precious and semi precious stones, with all that meaning and sentimentality which can come from there. Sunago jewellery sets these stones in modern twists on classic designs and new designs of statement jewellery for you to wear, to enjoy and to be complimented on. This may be set on threads, metals, clays or other materials. Jewellery is often full of memories. This can be from who gave it, who passed it on, or where you were when you bought it. Make yours even more special with a fingerprint, pawprint or even nose print encapsulated in fine silver, copper or even polymer clay to enjoy forever.